Energy Advisor Michael shares his tips on switching as part of Big Energy Saving Week! This week is ‘Big Energy Saving Week’. The theme this year is switching, and there are often big savings to be made! If you stay with a supplier on an expensive standard tariff, usually known as Standard Variable Tariffs (SVTs), you can find yourself paying £300 more per year than if you were on the cheapest deal on the market. Thinking about switching? There are a few things you need to know, and some stuff you need to look out for, to make sure you get the deal that is right for you. Before looking at switching, you need to be able to understand your current energy bill. The best deals can be found by ensuring the information you give is as accurate as possible. When your supplier is deciding how much you need to pay, they use a calculation where they multiply your energy consumption in kilowatt-hours (kWh) by the cost-per-unit (charged by the supplier), then add on your standing charge. You can use a comparison website to determine if you’re on the best deal. They will use the above information and calculate it against the costs of each different supplier and tariff. You can find all this information on a recent bill, or by calling your current supplier. Ideally, you will be looking for your annual consumption – this is how much you have used in the past year. You will also need to know the name of your current tariff, when it ends, and if you have any exit fees. Your payment method is also important, but we will touch on this later. Price – This is probably the reason you’re switching. But quite often, the cheapest price isn’t necessarily the best deal, so you need to balance cost against some other factors. A variable tariff can change in price whenever the supplier deems it necessary, whereas fixed deals must remain the same price for the length of the contract. Unfortunately, many fixed deals come with exit fees, so if you see a cheaper deal 6 months down the line, you may not be able to switch without paying a fee. However, fixed deals can protect you from price rises. Payment Method – How you pay for your energy can have a big impact on the price, but also on how easy it is to manage your bills. Direct debit is usually always cheaper, but is not an option if you have a prepayment meter. Prepayment is not always very competitive and you may not be able to save as much as if you were paying by direct debit. Quarterly billing is often the most expensive payment method. Online or Offline – Suppliers have traditionally offered a discount for managing your account online. This is now becoming the default option for many suppliers, so if you are not digitally savvy you may end up paying a higher tariff. Some suppliers are now offering ‘app-based’ management too. Smart Meters – If you have smart meters you may lose some functionality if you switch to a different supplier. This shouldn’t be a problem when the 2nd generation smart meters come online. Customer Service – Customer service is important and, if you have any problems, a supplier who takes customer service more seriously may be a better option, even though they could cost a bit more. It’s always worth checking reviews of companies online. Discounts & Schemes – If you get the Warm Home Discount, take this into account when switching suppliers. Not all suppliers offer the £140 grant, and you could save more by switching to a supplier whose prices are not as cheap, but offer the grant. For example, supplier A is £200 cheaper, but supplier B is £100 cheaper and also offers the £140 grant. Energy switch Guarantee – Some suppliers have signed up to this voluntary code of practice, which aims to give consumers confidence that the switch will be handled smoothly and efficiently. If you’re concerned about the switch going wrong (which is very unlikely anyway), make sure you switch to a supplier that has signed up to this. You’ll also get your final bill in less than 6 weeks and any credit balance refunded in 14 days. Online comparison sites are often the best way to compare tariffs. 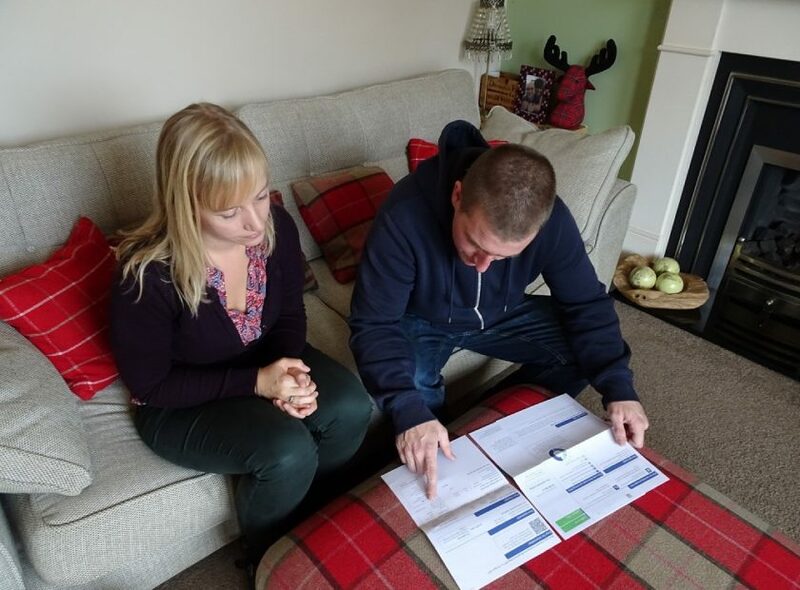 We recommend using the Citizen’s Advice Energy Comparison tool due to its ease of use and the available information, including highlighting which suppliers offer the Warm Home Discount and sign up to the Energy Switch Guarantee. If you don’t want to do it online, you could give Citrus Switch a call. Citrus is a charity who can help you do a comparison over the phone. Phone them on 0800 221 8089. If you’re not sure what you’re looking for, or feel you need a bit of a helping hand, why not give us a call? Our energy advisors can visit you in the comfort of your own home and help you find the best deal and make the switch. You can request a visit through our booking form, or alternatively give us a call on 01592 858458.